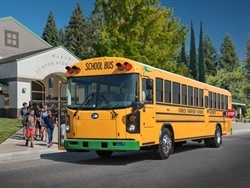 BELLFLOWER, Calif. — A school district here unveiled its first two new electric school buses on Monday. 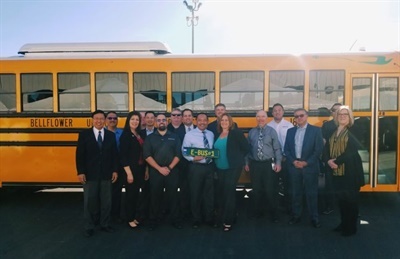 The Bellflower Unified School District (USD) transportation department held a ribbon-cutting ceremony to mark the delivery of the Blue Bird buses to the district in September. 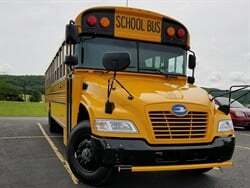 The Type D All American Rear Engine Electric school buses were among the first that the bus manufacturer delivered. 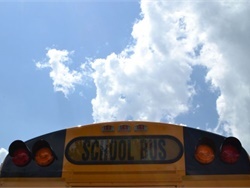 In fact, a Blue Bird representative said at the ceremony that the school district’s buses were the first and second to come off the assembly line, Mark Toti, the transportation manager for the district, told School Bus Fleet. 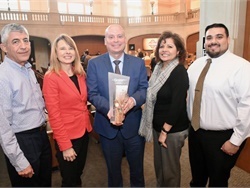 “Electric buses are new for our district, so we introduced them to the district as well as the city [of Bellflower],” he added. 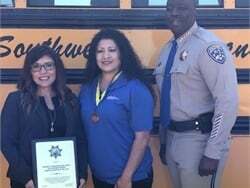 Attending the event were school district officials; a representative from the South Coast Air Quality Management District, which awarded the district with funding for the buses; Sonny R. Santa Ines, the City of Bellflower Mayor Pro Tem; and Steven Nagy, a representative from California assembly member Linda Sanchez’s office. 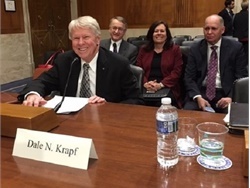 Also in attendance were representatives from Blue Bird; dealer A-Z Bus Sales, which delivered the buses; electric vehicle solution supplier Adomani; and electrified powertrain provider Cummins. 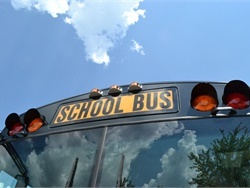 Attendees were able to take a short ride on the buses. 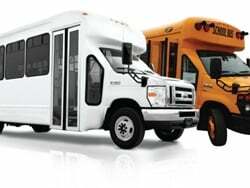 Feedback was positive, mainly noting the acceleration, and quiet and smooth operation, Toti said. 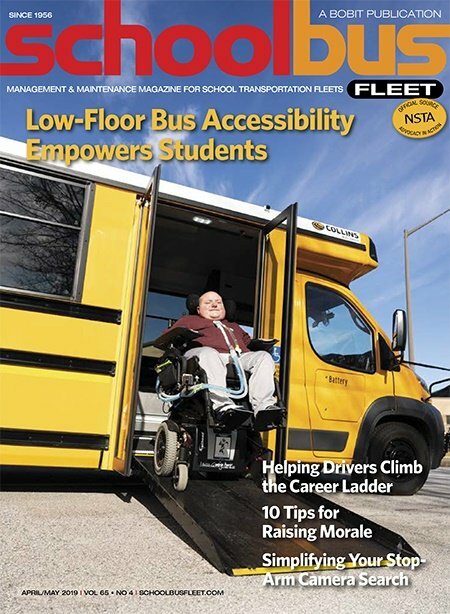 Other benefits of the buses shared by attendees were reduced maintenance and projected lower fuel costs. 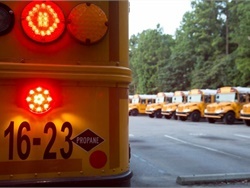 The buses were put into operation in October for local field trips as the district expands its charging infrastructure. 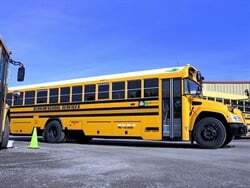 The district’s transportation department is moving from low emissions to near-zero emissions with its school bus fleet, having transitioned to all compressed natural gas (CNG) buses 15 years ago and the recent addition of the electric buses, Toti said. 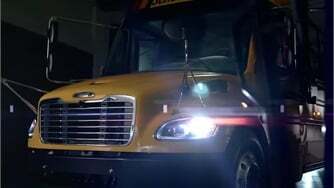 “Our fleet now consists entirely of alternative fuels,” he added. 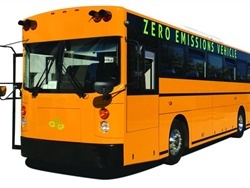 Bellflower USD received funding for the buses from the South Coast Air Quality Management District and CalStart's HVIP Program, according to a news release from A-Z Bus Sales. 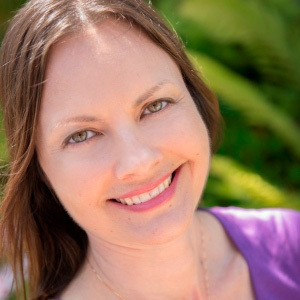 As of now, there are no updates for the additional orders, but we will be sure to post any news we receive about them as soon as possible.